Do you dream of changing careers, but don’t know where to start? We’ll show you how to turn your dreams into reality with our practical, step-by-step system. Why most career changers fall at the first hurdle (and how you can avoid falling into the same traps). How to gain valuable experience in your target field, even before being hired. The common career change resume mistake that is guaranteed to cost you opportunities. How to write a resume that truly sells your prior experience. How to network your way into a new role – without feeling icky. How to use free and easy web tools to make the transition easy. 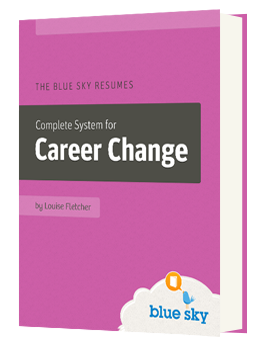 The Complete System for Career Change is broken up into 4 distinct modules that take you all the way through the process, from beginning to end. Module 1 walks you through the process of planning your career change strategy. This is a vital first step that most people miss out, but if you take the time to follow our easy steps, you’ll be much more successful at making this all-important switch. Module 2 teaches you exactly how to write an effective career change resume. We show you the common mistakes that hurt many career changers, we teach you simple resume strategies that set you apart from your competition, we help you overcome common career change resume hurdles, and we even give you real world resume examples to inspire your own ideas. Module 3 is all about the job search process. If you’re changing careers, you can’t approach your search the same way you have in the past. Instead we’ll show you simple tricks to unearth great opportunities and get your resume into the hands of the right people. Module 4 covers interviewing. Here we walk you through our proprietary approach to acing every interview, giving specific examples for career changers. We also address the issue of overcoming interview nerves and we provide a powerful list of questions to ask at the end of each meeting. You’ll never walk into an interview feeling unprepared again. We stand by The Complete System for Career Change 100%. If you buy the system and are unhappy for any reason, just let us know and we’ll issue a full refund, no questions asked. Louise Fletcher has made several successful career changes over the years, first moving from retail management to Human Resources leadership and then into resume writing and business ownership. Currently she is also starting a second career as a professional artist. 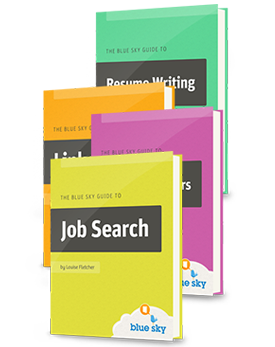 In addition to her own personal career change experience, Louise has helped hundreds of Blue Sky Resumes clients to make similar life changes, and along the way she’s learned what works and what doesn’t. Now she has distilled all of this experience into this comprehensive, step-by-step career change system. If you have any questions about The Complete System for Career Change, just get in touch. We’ll be happy to help in any way we can.